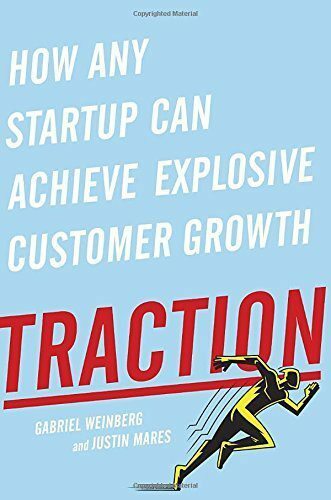 Traction is an awesome book for entrepreneurs and a key complement to The Lean Startup by Eric Ries for startups. Far too often it seems like startups focus on the same marketing channels when sharing their products. It is also difficult to tell which channel is the best one for right now. 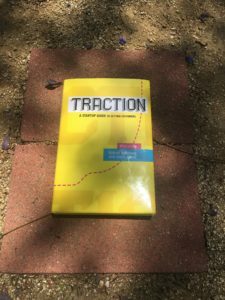 The book has also changed its name from, “Traction: A Startup Guide To Getting Customers” to “Traction: How Any Startup Can Achieve Explosive Customer Growth” written by Gabriel Weinberg and Justin Mares. I have the first edition which I originally purchased in 2014, but they both should be essentially the same book. Traction is a great read that helps you find a promising traction channel to focus on, and discover powerful marketing strategies with that channel. The book is a manifesto on how startups can build traction for customer growth in key stages of their development. It offers a “lean” approach to tackling marketing channels and achieving traction intelligently through the use of tools, the Bullseye Framework and Critical Path. The book is an essential marketing reference guide for the modern entrepreneur and is a great way to explore all of your marketing options in a smart, efficient manner. The Bullseye Framework is a lean approach towards narrowing down the numerous choices of marketing channels to the vital few that really matter. The methodology is based on clustering of priority along with constant experimentation. Achieving a sophisticated Bullseye requires tactics that mesh traction development with product development (where The Lean Startup comes in). For startups, the bullseye framework is quite possibly the most effective method for pinpointing the best marketing channel out of all available choices quickly. Download the Bullseye template here. A Critical Path is the path to reaching your traction goal with the fewest number of steps. A traction goal could be 1,000 paying customers, 100 new daily users, or 10% of your market for instance and is highly dependent on your business. These are the milestones you need to do to get to where you want to go. After reaching your milestone, reassess the newfound knowledge against your bullseye framework for improvements. By this point you should be seeing traction in one of your channels and traction trumps everything. This is the point where you invest more resources into this channel and experiment with new ideas over flailing channels. Viral Marketing – This can happen when your content is extremely shareable and noteworthy. Virality can also be built into the functionality of the product, marketing or customer service. Public Relations – Excellent Public Relations is the art of getting your name out there via media outlets like newspapers, websites, magazines, e-zines, social media, and TV. Reaching out to online news aggregate sites such as TechCrunch, The Huffington Post, Business Insider, Life Hacker are great places to start for PR exposure. Unconventional Public Relations – Unconventional PR constitutes activities that generate media attention but aren’t necessarily considered normal forms of marketing. Publicity stunts and great customer service are also forms of unconventional public relations. Search Engine Marketing – This mainly means advertising on Google, but it would serve you well to experiment with marketing on other search engines such as Bing, Yahoo, and DuckDuckGo. 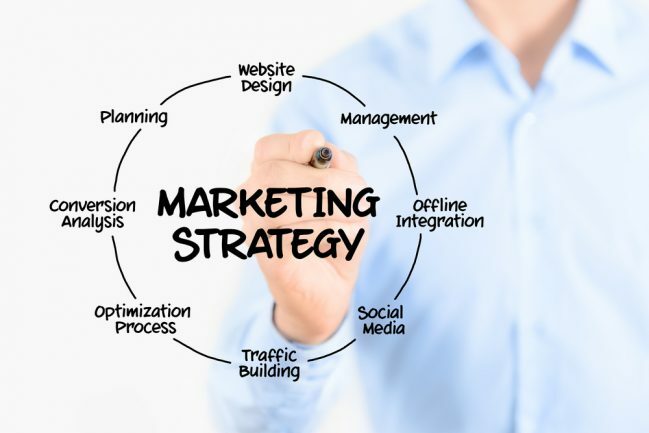 Finding an effective SEO strategist and web design expert would serve you well for attracting new leads and clients. Social & Display Ads – This category is for advertising on social media platforms such as Facebook, Twitter, Pinterest, etc. There are also display advertising networks such as Google Display Network which can increase your ad reach to blogs and content sites. Offline Ads – Include TV spots, radio commercials, billboards, infomercials, newspaper and magazine ads. Remnant advertising can be an economical source of advertising. Search Engine Optimization (SEO) – Building a website optimized for target traffic through search engines with great content and link building is a long-term approach to marketing. Success with SEO will require a healthy combination of content marketing, public relations, and blog post swapping. Content Marketing – Creating blog content can reap dividends when it comes to branding, ranking for SEO, gaining viral traction and obtaining subscribers. It can be an easy way to educate your audience on topics that interest them. Email Marketing – One of the best ways to convert prospects while retaining and monetizing existing ones. To optimize this channel, continue to test the AARR metrics (Acquisition, Activation, Retention, Revenue) in your marketing funnel. Engineering As Marketing – Engineering tools for customers is an intuitive way of reaching your target market directly. By providing them with a free tool you are essentially showing them that you are trustworthy enough to build a good product. Targeting Blogs – Targeting other blogs can have the effect of cross-pollination of audiences. By being a guest on other blogs it makes you seem like a trusted friend. This is a great strategy for early-stage startups. Business Development – The process of creating strategic relationships that benefit both your startup and your partner. Partnerships can be as simple as partnering with a dominant pizza shop such as Domino’s because you sell fire ovens, and in return, you help bring each other business. Sales – Perfect for high priced products and products requiring 1 on 1 consultation such as golf insurance, auto sales, accounting, etc. Sales is great for creating processes to directly exchange the product for dollars. Affiliate Programs – Leveraging affiliate networks can have huge positive effects on the audience you reach with your product. Clickbank, Commission Junction, and PepperJam are incredible affiliate networks. Furthermore, creating your own affiliate network could be a great way to drive referrals. Existing Platforms – Marketing for existing platforms means focusing your growth efforts on an ultra-platform like Facebook, Twitter or an App store. Oftentimes being one of the first to market on a platform can be the key driver for the success of the entire app. Trade Shows – A superb way of reaching your customers, competitors, evangelists, media and potential suppliers at the same time. A well located and design trade show booth could be one of the main attractions at the show! Trade shows can reap the benefits of long-lasting relationships with the people you meet. Offline Events – Sponsoring or running an offline event can be a key driver of traction. Whether it is a small meetup event or a full-scale conference (or even a party), it is possible to position yourself as an authority figure and scale up to larger events. Speaking Engagements – Speaking is the old school method of directly reaching your audience. It can be extremely effective as a source of customer attention and personal brand building. As a founder use a site like Clarity to find relevant successful entrepreneurs for speaking engagements. Leverage your talks by recording them, asking the audience to perform engagement on social media and ending your talks with a call to action. Community Building – Building an audience can be as simple as fostering a community. To achieve this, first establish a powerful mission for your community. What are you hoping to achieve through manifesting this community? Foster critical connections in your community and communicate with your biggest evangelists. They can be your biggest assets in product development and even inbound hiring. Startups with a strong, core mission would do themselves well by building traction through community building.